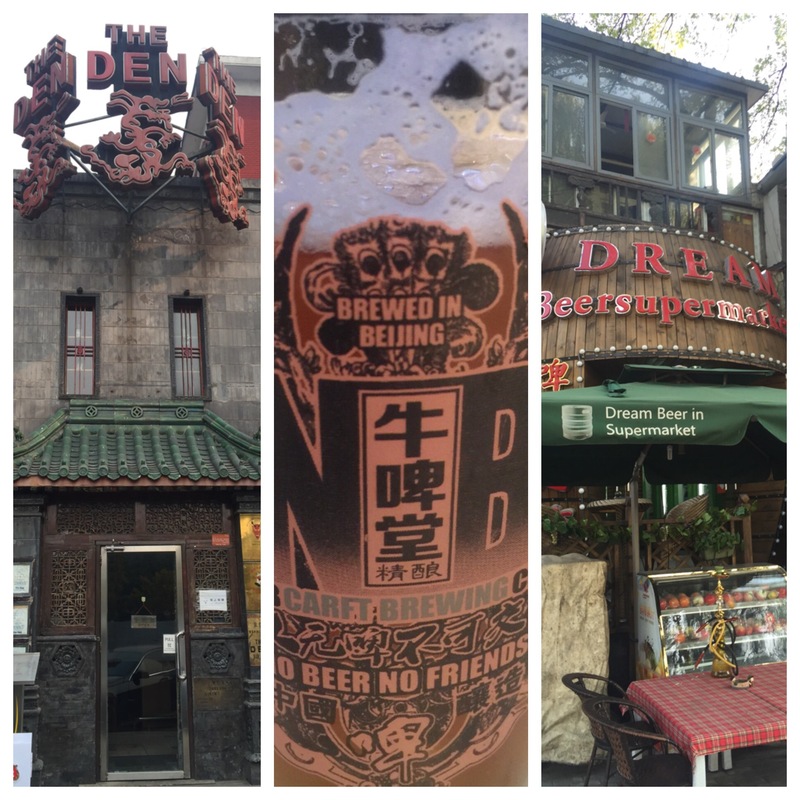 So there’s been plenty of changes to the Beijing bar scene since my last visit. Plenty of bars have gone and the craft beer culture has started. There’s a couple of perennials, but for mine (and maybe it’s looking backwards through rose coloured nostalgic eyes), the edge has come off. The Den remains constant and doesn’t look like anything has changed at all. Still the place for sport and expats first arriving. 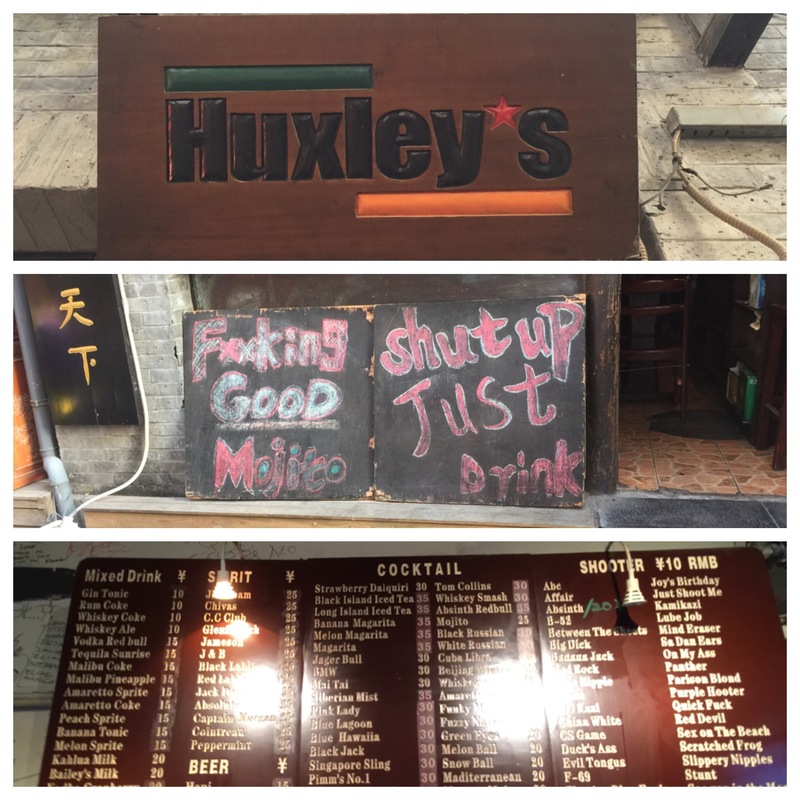 Huxley’s near Hoihai also hasn’t changed and guarantees a cheap drink. Very few of the Nan Luogu Xiang dives exist anymore, but Reef, 16mm and Salud are hanging in there. My old mate Pat from the Pommegranate has left his bar the Green Cap and it’s changed its name. No reason to go now that Pat has left. Many of the bars in NLGX with terrifying ladders to rooftops have gone. Ned’s and 12SQM Bar have also gone. One of my all time favourites was the Drum & Bell, which sat between the two eponymous towers. All the bars around here have disappeared. Stumble Inn has also gone from Sanlitun. Only one bar (Nashville) remains in (perhaps not so) Lucky Bar Street. I’m sure there’s a slew of newcomers in the Cocktail bar/nightclub scene, but from a beer drinker’s perspective the developments are positive. The Belgians and Germans wave the flag with a slew of Chinese run beer bars all over town. The weirdest was Dream Beer Supermarket on Houhai, which served an eclectic range of Belgian and Spanish beers, many of which I hadn’t seen. Tiny spot. All around Houhai are empty 5l barrels of obscure German beers. Craft beer bars are emerging and some will be discussed in detail. NBeer is in the second division that I described in a previous post. In Building 6 of the Soho complex opposite Sanlitun, it has a great tap set up, but plenty weren’t working and the staff had no clue. They’ve got another outlet somewhere. A discovery is a very new brew bar in the Wangfujing area. 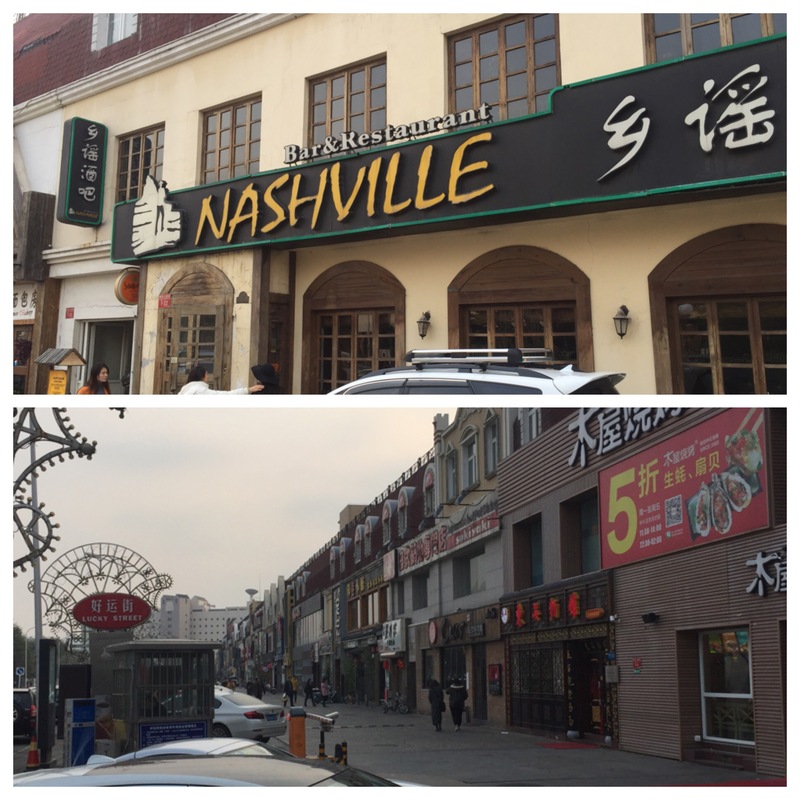 This high end shopping street close to Tian’enmen Square is a bar desert – except for this place called Drunk. Henry from Vermont does the brewing and it is very early days. He’s got a fair wheat on the go and when they shift a ton of German beer, he’ll get more brews down. 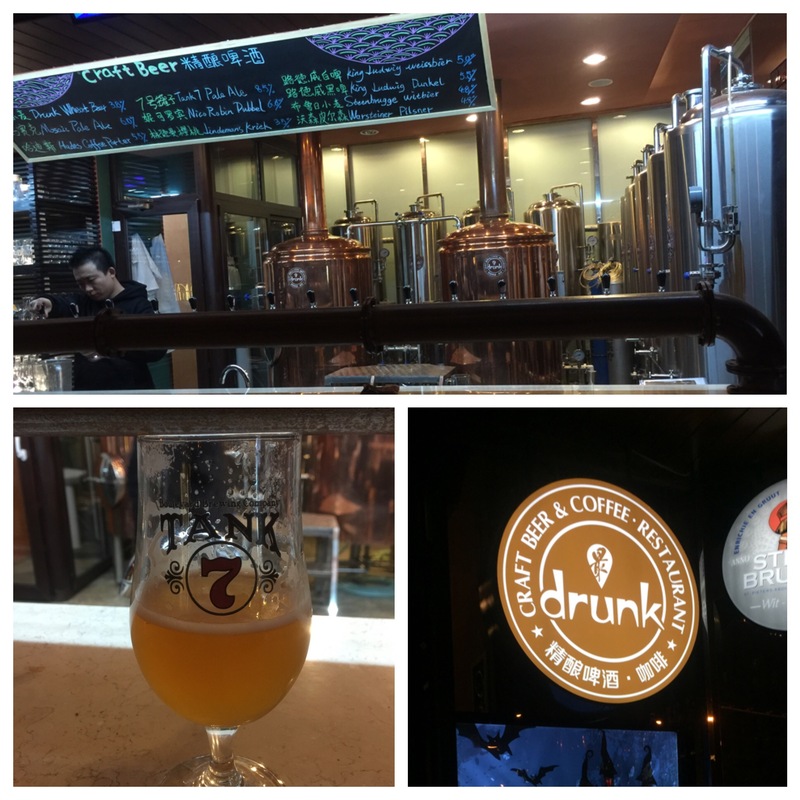 Never thought I’d have a Tank 7 saison on tap in Beijing. Good luck, Henry. You seriously trapped there till Tuesday? ?